Designed for small-sided play on 3g surfaces, the Audazo Pro Turf soccer shoe features a lightweight synthetic upper and an aggressive texture toe cap to deliver lightweight performance, fit and feel made for a true competitor. Traction and support take center field with an Ndurance rubber outsole combined with Pro Bank technology and a REVlite midsole. They’re available on Amazon. The Audazo Pro Turf shoe features a synthetic/mesh upper that is breathable and flexible. Plus, the rubber molded outsole offers a superior grip, comfort and durability on 3g surfaces. The New Balance Audazo Pro Turf shoes are available in sizes 7-13 (including half sizes) for approx. $100 USD on Amazon. Fit & Breaking In: The Audazo Pro Turf is definitely not a shoe that you can take out of the box and immediately play a game in. Because the synthetic upper and rubber outsole is initially pretty rigid, you need to take baby steps in breaking in these shoes to achieve the most comfortable fit. After wearing the shoes for several practices and training sessions, I found that the flexibility and comfort had gradually increased the more I played in them. In terms of the fit, I went with my usual size 7.5 although the fit was a bit tighter than usual. New Balance suggests ordering a 1/2 size bigger than your typical NB size since the shoes have a “performance fit.” The shoe itself seems to be a bit on the narrow side. Feel & Touch: Once broken in, the shoes feel very comfortable on feet. The mesh tongue allows for decent breathability since the synthetic upper doesn’t allow for much. The flexible synthetic upper, although not very breathable, gets a great touch on the ball and has a pingy sensation when striking the ball. Although it doesn’t offer as nice of a touch as a leather turf shoe (specifically the adidas Mundial Team), the durability that comes with this synthetic upper is well worth it. Priced similarly to most other popular turf shoes on the market, the Audazo Pro Turf offers a great touch on the ball that makes it worth checking out, especially if you’re looking to try something that’s not from Nike, adidas or Puma. Performance: Due to the high quality synthetic upper and the texture toe bumper, the durability of the Audazo Pro Turf is great. Having worn these shoes for several months now, I have not experienced any deterioration or issues with durability and I do not foresee these problems in the future. The rubber turf outsole gets an amazing grip on 3g surfaces, making this a serious contender for Nike, adidas and Puma turf shoes. I had no problem changing directions, accelerating, decelerating or making sharp turns while wearing these shoes. The removable Fresh Foam insert is very thin, lightweight and offers great comfort. The REVlite midsole, composed of a foam compound, allows for a very comfortable, supportive and responsive ride. The internal heel counter locks your foot in place for extra stability. Overall, the New Balance Audazo Pro Turf shoes offer almost everything a good pair of turf shoes should have; comfort, stability, a great grip and a good touch, but they lack breathability. 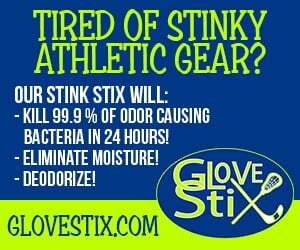 This may not be a deal breaker for many players but it’s worth noting as your feet could get pretty sweaty in there. For approx. $100 USD, the Audazo Pro Turf is a great contender for many of the popular turf shoes already on the market and is a worthwhile option for those looking to try a shoe from someone other than the big three brands Nike, adidas and Puma. For more information or if you’re interested in purchasing, visit Amazon and check them out on Facebook, Instagram, and Twitter.